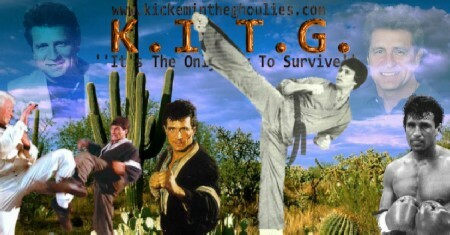 Many interested in the Martial Arts or Martial arts film business will know the name Keith Vitali. Born in 1952 Keith's interest in the arts came about in 1971 at South Carolina University . This is where he began his martial arts training ,unbelievably he would attain his first degree Black Belt just two years later. He would go on to compete in competitions on a national level in the end he would become the World Karate Champion and take the crown of US National Karate point Champion 3 times in a row in the years 1978 /79/80. He is also considered to be one of the top ten fighters by Black Belt Magazine and inducted in to the Black Belt Hall of Fame. Appearing on numerous Martial arts Publications ,he is a Martial artist known to many . 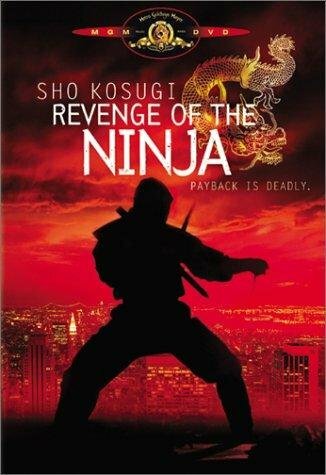 Now for some their first experience Mr Vitali's feats would be when he starred in a classic Ninja film with Sho-Kosugi ''Revenge of the Ninja'' . Though his foray in to films would be a part in Robert Clouse's ''Force Five'' . Revenge of the Ninja was a big hit and had a national release in theatres. 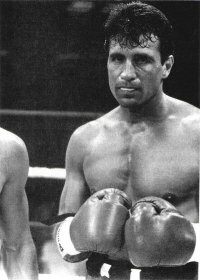 This would lead to Keith being paired up with Benny the Jet Uriquidez as a pair of fighting henchmen in one of Jackie Chan's biggest movies ''Wheals in Meals . Which was directed by legendary film maker Sammo Hung. In a recent interview on stage in a Berlin held convention ,Keith would explain how he got to put the pain on Jackie in one take of the film. 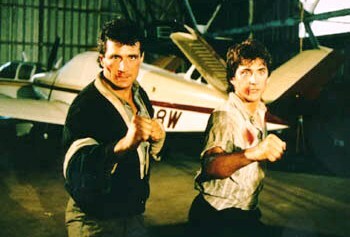 What happened was that the scene was set for Keith to kick down Jackie as he was fighting Benny the Jet . 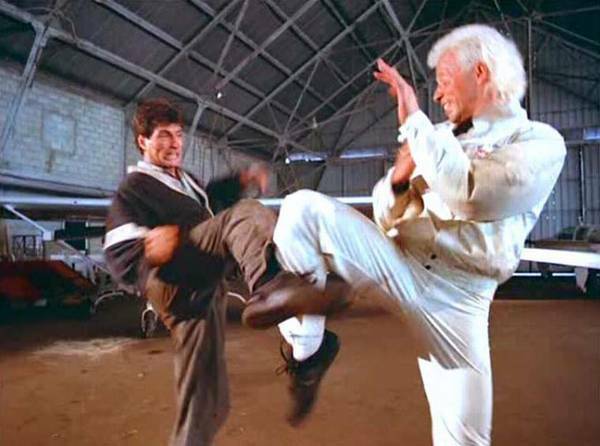 The camera's had been set and Keith prepared to take the strike when Sammo who directed said ' what you doing your in the wrong stance ,you must kick with the other leg. Keith thought hell I can kick with the other but don't have the control with the other side . Sammo replied well where not changing the set up for you to kick with the other leg . Do it as it is. So Keith comes in to take the shot on Jackie sweeping Jackie to the floor with a almighty thud ,he new he hit him hard ,but Sammo looks on and says no good ,not enough power ,Do it again more Power. Again Jackie hits the floor hard 'you can see the pain on his face. Sammo: no! more power needed , again and again the shot was done each time Jackie feeling the force of Keith's kick. Again Sammo says not good enough .more power needed. Jackie comes to his feet shouting No 'No more power 'I've had enough Power .No More. So as you can see being at the receiving end of one of Keiths kicks should send you to the recovery room soon after. It was after this that Keith would star opposite Loren Avedon as his Brother in 'No Retreat No Surrender 3 'Blood Brothers'' . This would give a great showcase for Keith's power and artistry as he and Loren team up to avenge their fathers death and in turn saving the Presidents life.
. It was a good starring role for Keith ,he played the title stars friend who is a genuine Mr,Nice Guy and all he wants to do is help his friend ,but his friend has other agendas. Then came the film Superfights where he plays the main villain of the film.He also went on to produce BloodMoon with Gary Daniels ,which was another film from Seasonal Productions. Other films include 'Your Money or Your Life '' for Keith Strandberg ,which Keith Produced and The cut off which he also starred in. 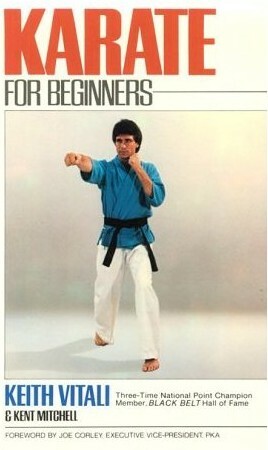 Keith has also written a number of books,on Martial arts .His first published in 1983 ,it contains 96 pages of informative information. On it's first run it sold over 30'000 copies and is used as a reference guide at the South Carolina University. And as a spot of further interest if you go to Amazon now ,it last clocked in at a mega £143.50 to buy. Though used copies go for as little as a Penny. 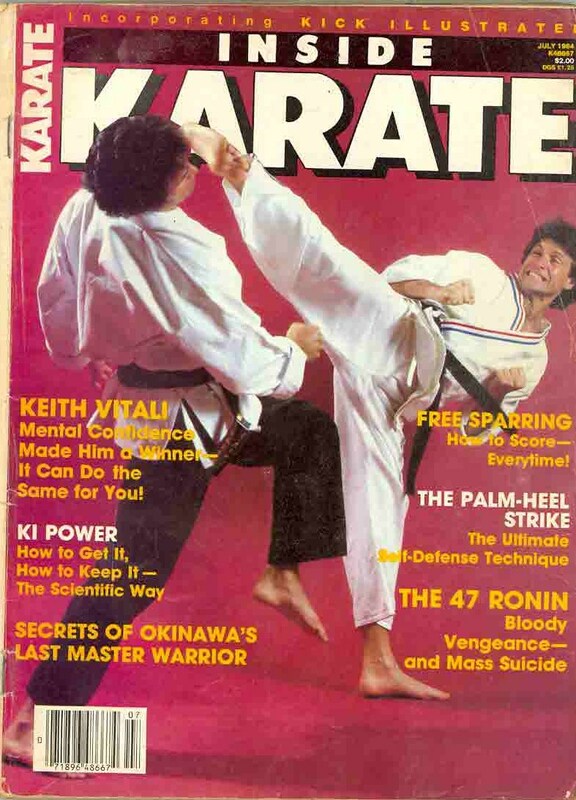 Keith's next book was ''Karate Kicking '' in the same year again Contemporary Books INC published the title .It contains 116 pages . After this in 1984 came Keith Vitali's Winning Karate Techniques ,containing a generous 133 pages . So with the above collection who have a informative guide to help with your training . Keith's next book would be in 2007 ,entitled ''BULLYPROOF Your Child . This has been a revelation .As in society Bullying is everywhere ,but of course it's at school and the younger generation that get the brunt of it. This is a way for parents to help there children with bullying . I suppose it''s as the old proverb may be .if you teach respect and honour then maybe others may not steep so low as bullying others .Also giving confidence to young people to is a important part of life . 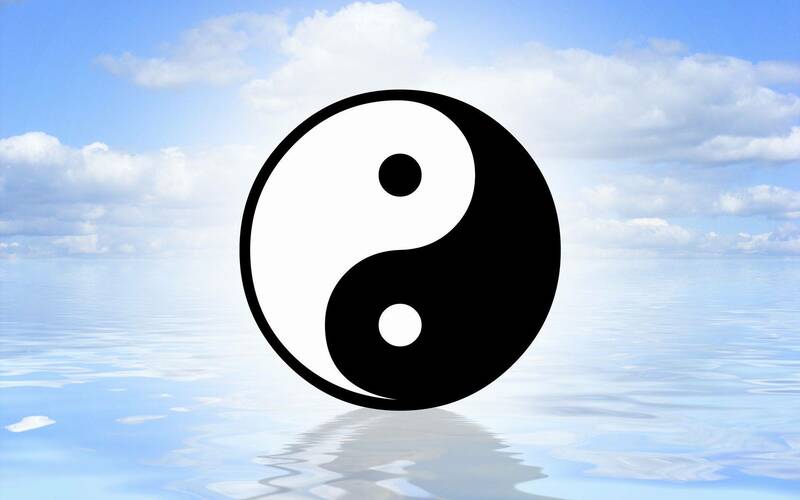 Also martial arts training can tame a character making them more relaxed and more reasonable person. * Note all the above books are available to buy on Amazon . This is a great project and one that has results , it does seem that of the many schemes I know like this ( Chuck Norris started Kickstart to help kids with drug related problems) .Here in the UK their don't seem to be as many organizations like this .I hope in the future that more projects like this appear.. They can only make the world a safer and calmer place..
visit his Official site Below. Keith has written a screenplay for a film that goes in to production in 2011 ,the name of the title is ''Boone'' which is a Action film based on the Exploits of the American Frontier. The film company responsible is Trajen Pictures of which Keith Vitali is the President of. There is also one other story called ''Jacks World '' which is a action comedy. Here we look forward to seeing these new works from Mr Vitali. More Infomation on Keith Vitali's official site Here ! It was in August 2010 in Berlin Germany that i got to meet Keith Vitali. He was in Berlin at the Berlin Martial Arts Movie Convention .Along with a host of other stars he spent his time talikng about film and the arts . Signing Autographs and taking pictures. 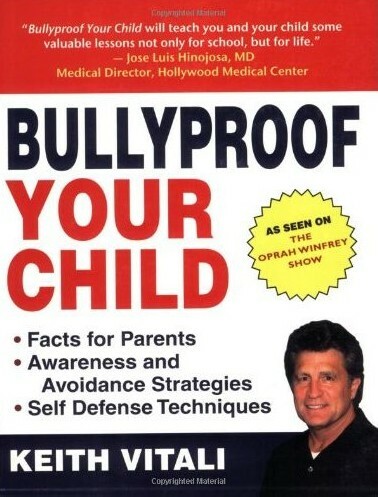 He even did a couple of seminars to tie in with his Book Bullyproof Your Child . It was here that i was lucky enough to meet him and share his experiances ,it was also where i asked him if i could do this feature ,which of course he agreed. Keith on stage with the other artists in Berlin, Keith's fourth from the left between Jeff Speakman and Loren Avedon. Keith and Rion Hunter go at it ! 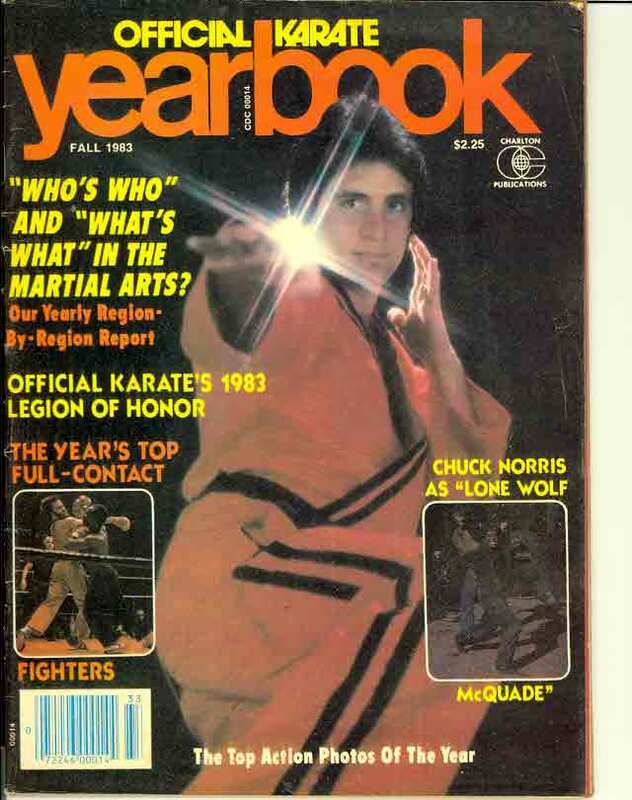 On the Cover of Official Karate Year book. Keith featuring on two other Magazine covers. It's now that i thank Keith for his friendship and being a inspiration to so many. 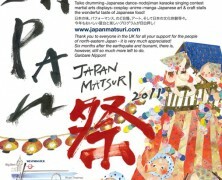 And of course for being our March 2011 Banner star . I hope we have done you proud. Thanks a lot Keith . And a message to all out there ,remember Martial arts is a way to a more harmonic way of life ,once you start there's no turning back . Below are listed the films that are covered on site which Keith Vitali has starred in or Produced . Just click on the highlighted title to go to the review. Revenge of the Ninja - Keith stars with Sho Kosugi in this class Ninja Movie. Wheals On Meals - Here Keith is directed by Sammo Hung in this Top Film. Blood Brothers - The third in the No Retreat No Surrender series of films .Nuff Said. 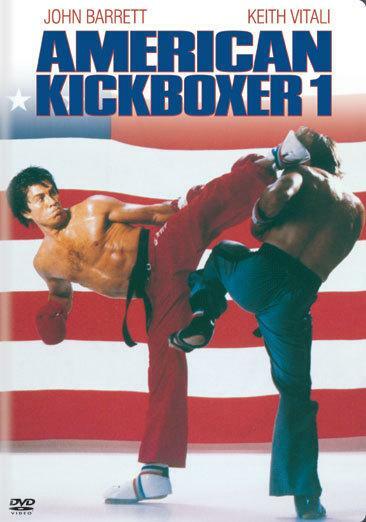 American Kickboxer 1 - This is a great film showing a passion for the art . Superfights - Keith Vitali is Robert Sawyer a underworld kingpin,and Jack Cody is his adversary.